Coppell High School senior Grant Knippa practices trumpet in the CHS band hall practice rooms during sixth period. Knippa plans to attend New England Conservatory of Music in Boston to pursue a career in classical music. For Coppell High School senior Grant Knippa, music is no longer a hobby. It is his future. Knippa was not always musically inclined. He did not really dive into music until middle school. In fifth grade, Knippa decided to pick up an instrument- specifically one with a cool case. But Knippa’s affinity for music was not unexpected. Now, Knippa practices three hours a day (not including the hour and 40 minutes in school band) and plans to attend the prestigious New England Conservatory of Music in Boston to pursue trumpeting long term. 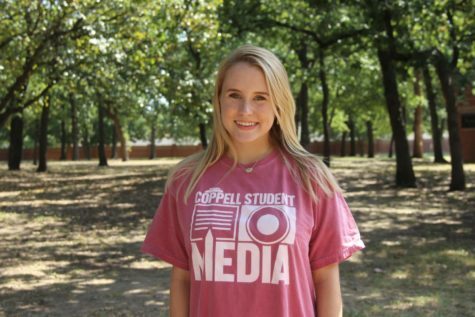 “I had been considering [pursuing trumpet in college] all throughout high school, but the moment I knew was junior year when I went to All-State, which was just three or four days playing really difficult music with some of the best classical musicians in Texas, and I just knew; that was what I wanted to do,” Knippa said. Mrs. Knippa believes that Knippa had natural talent as well as a passion and drive for music that helped him succeed. Knippa has had the opportunity to participate in a variety of unique music programs, including school bands such as marching band and concert band, All-State Band, Greater Dallas Youth Orchestra and a Interlochen – a seven week summer camp in Interlochen, Mich.
Conservatories are unique from traditional universities in that students study their craft exclusively. This offers students the ability to spend every class growing as a musician. “School is good and all that but I’m always telling my friends that it would be really cool if all of my classes instead of calculus and English and all that were trumpet and trumpet and music, and that’s exactly what going to school at a conservatory would be like,” Knippa said. For musicians, the audition process is an extremely rigorous one. Many schools require pre-screening recordings before the student is invited to audition, and almost all schools require an in person audition. Many of Knippa’s friends come from band, and many of the student musicians he meets at camps and competitions auditioned at the same schools as him. At NEC, Knippa will have the opportunity to regularly watch the Boston Symphony Orchestra. 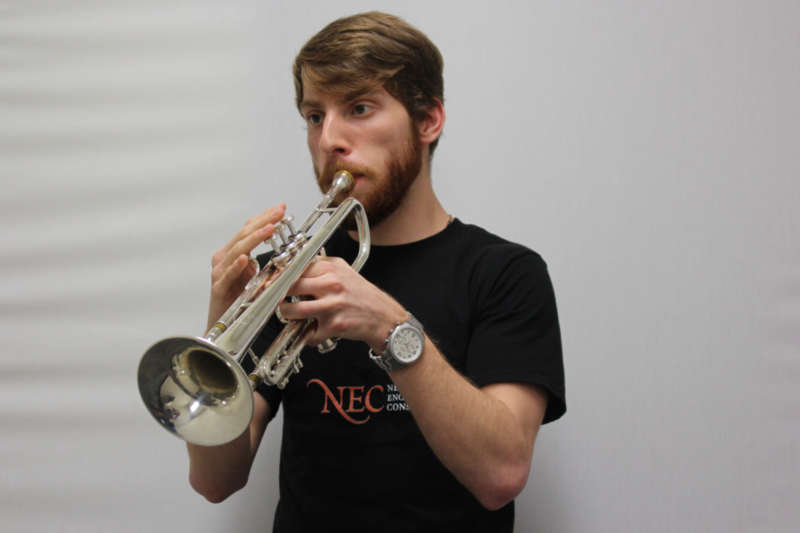 For the last three years Knippa has been studying trumpet under Dr. Jared Hunt, with whom he has worked on embouchure and musicality. “Musicality is something that a lot of musicians don’t pick up on until they’re halfway through their undergrad, but Grant really grew in his musicality [the three years I have been teaching him],” Hunt said. Trumpet can be a demanding instrument, but Knippa has learned to love the instrument through all the requirements.